Transcend Oceania executive di­rector Adi Vasu Levu said the par­ticipants have revealed the kind of problems they had been facing through group discussions at the Salvation Army Church hall in La­basa yesterday. “Normally leaders learn and col­lect information provided to them, but they forget to analyse to find deeper meaning or truth and in due process, fail to share information with their members,” Ms Levu said. “For instance one group revealed in the rural areas the access to roads is not available and they identified the kind of problems people face. “They brainstorm ideas and prepared SWOT analysis (an or­ganised list of greatest strengths, weaknesses, opportunities, and threats) on how to overcome or highlight their need to get help. “The workshop is a joint-collab­oration between five consortium partners, for the implementation of the project titled Participative Democracy and Accountability (PDA) Action,” she added. 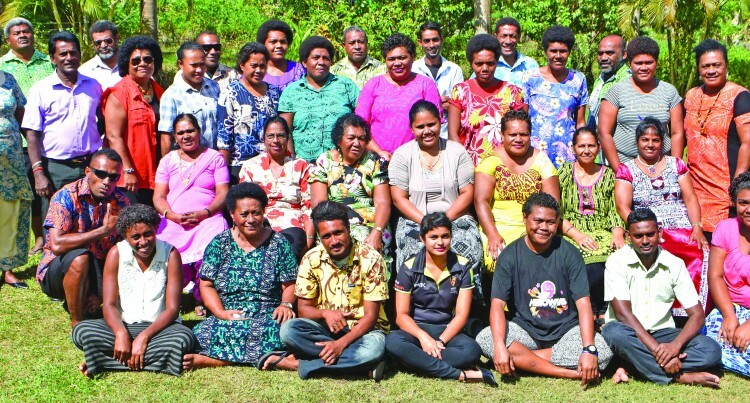 “The overall objective impact for the PDA is within the work in pro­gress with the respective partners to strengthen democracy, govern­ance in Fiji through effective and sustained participation of civil so­ciety and Fiji citizens in local and national policymaking. She said the four-day workshop was funded by the European Union (EU). Adi Makitalena, president of Mul­ticultural Women’s Group in Nale­ba, Labasa, was among the 40 par­ticipants and said she felt happy to be part of the programme. “All these years I have never been told how to analyse information being provided to me,” Ms Makital­ena said.